Prominent & Leading Manufacturer from Jaipur, we offer astrological-vastu consultancy by famous astrologer, horoscope, horoscope match making report and shubh muhurta. Astrology-Vastu consultancy is provided by renound astrologer & Vastu Consultant Pandit Avnish Pandey. Pt. Avnish Pandey is a famous astrologer & Vastu Consultant of India. He is an Editor in Chief of JYOTISH SAGAR, a national magazine on astrology (Astology Magazine), since March, 1997. He is also Chairman of The Institute of Indian Astrology and Vedic Sciences (IIVSC), an research Institute of Astrology and other Vedic sciences. He has vast experience in Astrology and is practicing from 1991. He has consulted more than 2.75 lakhs persons. He is Family astro consultant of many renound Politicians, Industrialists, Filmmakers-Producers-Actors-Actoress, Players, Writers, Docters etc. He has written many books on various branches of Astrology. 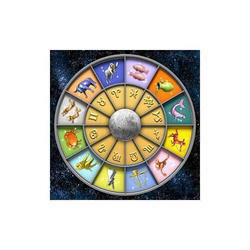 His team of Astrologers are famous astrologers not only in Jaipur (Rajasthan) but also in all over India. They all are experts and they use their wide knowledge of astrology to help identify and achieve objectives and to recognize unexpected abstacles that one may encounter in life. They advise not only Beneficial or worst time of life but also solution & remedies. We are the Best Astrologer of Jaipur Rajasthan and in India. Consultancy will be given through telephone, E-mail, Letter or Fax. Telephonic astrolgical consultancy and online telephonic are our populer services. Our wide ranges of customers are going to get top quality Horoscope Astrology services from our site at ranges which are quite unimaginable. We are going to provide accurate solutions to meet the desired end results of the clients. These are all done by professionals who are well trained in this field for some years now. They are going to judge the client well and then give him proper solution which will last. We are a best Best Astrologer of Jaipur Rajasthan and in India. Our trained and professionals who are expert in this domain are going to provide the visitors with great Horoscope Match Making Report which will provide Astrology Services the customers with desirable results. These astrologers are going to provide the visitors with horoscope results along with the best possible results which will help them to get fare results at the end. Our report comprises of Asthkoot Guna Milan, Planet Position & Lagna Chart, Moon Charts and more. Planet Position & Lagna Chart. Charactor Analysis: Nature, Habits, Financial Affairs, Activities, Friendship, Health, Food Habits,Other known facts. 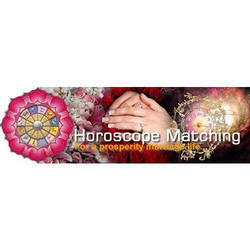 Ashtkoot Match predictions to find compatibility between partners or Boy & Girl match for: Inclination, Harmony, Fortune attachment, Co-Operation, Relationship, Stability. Plantory Matching or Horoscope Matching. Muhurta for starting a puja or spirtual exercise. For purchases and construction of property.